Happy first day of autumn! With the change in seasons, don’t forget to check your maintenance manual and have your seasonal maintenance items completed, such as the cleaning of your gutters and roof drains. If you don't have a maintenance manual, we can help! Check out Strata Services for more information. A few BCBS team members completed their fall protection training at EnviroSafety yesterday...and had a great time. Who knew safety training could be so much fun? The annual BCBS Cultus Lake camping trip was a big success last weekend. The sun came out, the food was delicious, the games were entertaining, and the people were fun! 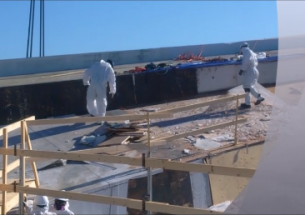 Our latest roofing project involved removing a 40-year-old roof and replacing it with a new exterior insulated membrane assembly. Miska is the newest addition to our office and she's already hard at work. Her only job: being so cute it's distracting. 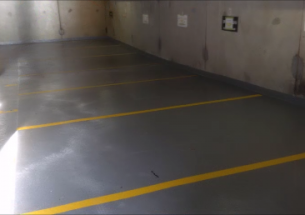 BCBS worked with PCM Pomeroy Construction & Maintenance on the $400,000, 3-month, comprehensive garage waterproofing restoration project showcased in this video. Jordana of BC Building Science was invited to participate in the BC Women in Technology promotional video for the Applied Science Technologists & Technicians Of BC. BCBS works in Alberta too! Call us for details. BC Building Science presents 'The Art Form of Self-Adhesive Membranes' - a short video describing the steps involved in self-adhesive membrane application. Welcome Matt Dudzinski - BC Building Science's fourth new team member since the beginning of 2016! Cheers to Ten Years Hilary! Congratulations to Hilary on being a part of the BCBS team for 10 years! We are looking forward to the start of this project as we close the tender call for our latest Building Envelope Renovation Project in Vancouver.